This pup’s gotta fly! 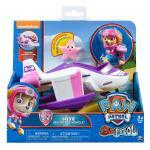 Join Skye as she heads to adventure in her Sea Patrol Vehicle! Both watercraft and plane, this 2-in-1 flyer is ready for mid-air and in-water adventure. To take to the sky, extend the plane’s wings and start soaring! 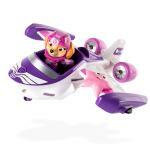 When trouble hits, pull the landing gear down to smoothly descend onto Adventure Bay. This exciting vehicle comes with a Skye figure, decked out in full Sea Patrol gear. 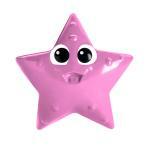 For even more fun, a bonus starfish sea friend is also included! Skye’s Sea Patrol Vehicle can be combined with Chase, Marshall and the rest of the Sea Patrol gang! With adventure on the horizon, rise to new heights with Sky’s Sea Patrol Vehicle! 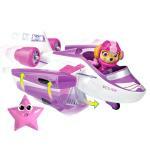 Team up with Skye and go on twice as many adventures with her transforming Sea Patrol Vehicle! With a few fast changes, this pup’s plane turns into a watercraft! Skye’s Sea Patrol Vehicle comes with all the features needed for rescue missions. Extend the wings to soar above Adventure Bay, or fold them down and extend the landing gear to safely glide onto imaginary water. 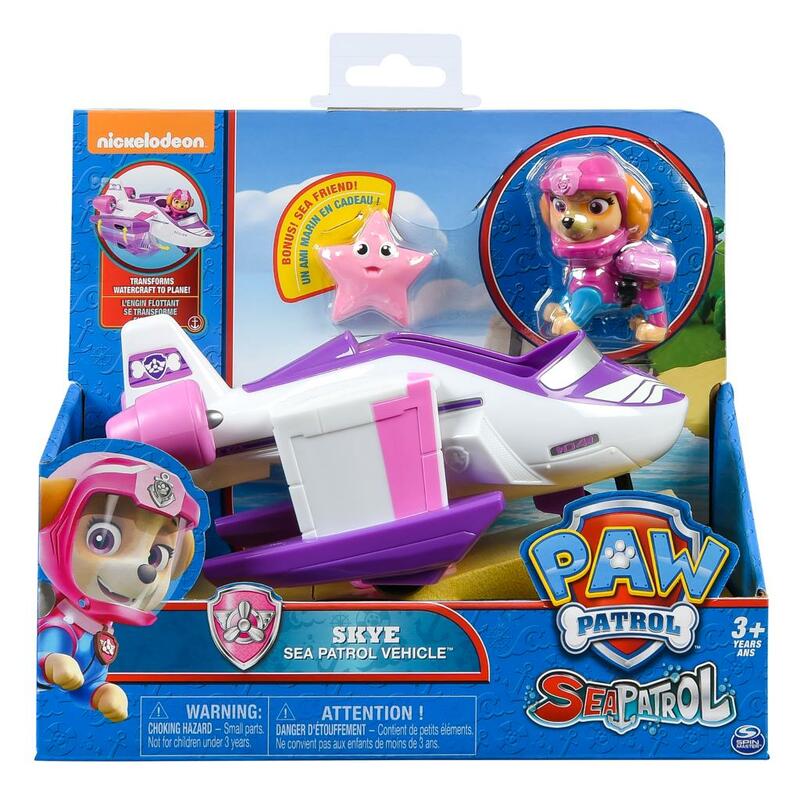 Each vehicle comes with a Skye figure in Sea Patrol uniform, and a bonus starfish sea friend figure! 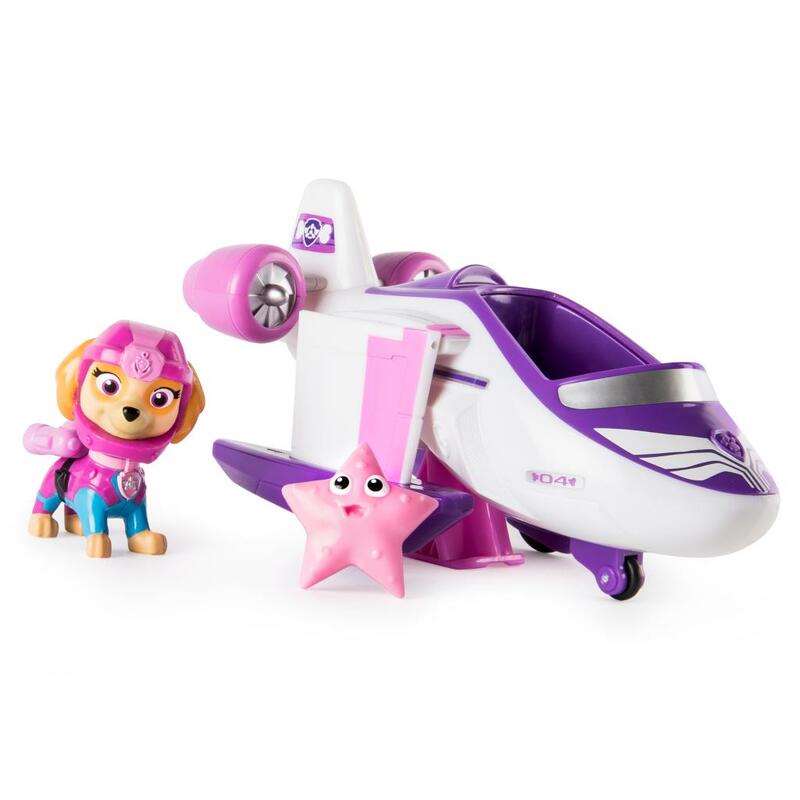 Put Skye in the pilot’s seat and team up with your sea friend for even more fun! Skye’s Sea Patrol Vehicle is for kids aged 3+. Not meant for use in water. Collect the rest of the Sea Patrol and embark on a new mission!